Even as Shree Manmohan Singh ji retraces the footsteps of Mahatma Gandhi in South Africa by taking the train to Petermaritzburg on 30 September 2006, the very foundation of Gandhian principles are being flouted in India by ordering the Black Warrant against Afzal Guru fixing October 20 as the day he would be hanged in Tihar, New Delhi. The Congress I led Government feels that Afzal is the kingpin in the December 13, 2001 suicide attack on Parliament. It is a well known fact that the Government agencies have not been able to extract a confession or pinpoint him clearly linking him to the attack on Parliament. The murderers of Nitish Katara and Jessica Lal are acquitted in sham trials; New Delhi is one place which believes in whom you know and not what you know. 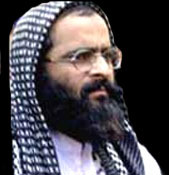 Afzal Guru was born in a well to do business family in Doabgah in North Kashmir. According to his close friend Muzamil Jaleel, Afzal was the best student in his class in Muslim Educational Trust English Medium Higher Secondary School in Sopore. Afzal was selected to study Medicine and he joined the Jhelum Valley Medical College in Srinagar. He wrote poetry and has flair in reciting impromptu Urdu ghazals. His sheer love for Urdu poetry that guides him all along; he even named his son as Ghalib. In the years of 1985 to 1989, Kashmir was rocked by militancy, the people became poorer and corruption was rife in everyday life. I had come back after spending years in Bhutan and was on my way to join a National Hydropower Project in Kashmir. TheSwitzerland of India was just a very poor province, its people eking out an existence in misery due to maladministration and non development by the Government in Kashmir. It was during these difficult years, Afzal left his medical studies and like so many others crossed the Line of Control to take up arms training in Pakistan occupied Kashmir. Years later, Afzal told his close friend Muzamil Jaleel that he "didn't fit in his new role" and his romance with the gun had extinguished soon after he crossed the LoC. He came back, was promptly arrested by the Border Security Force and was jailed for several months. After his release, he tried unsuccessfully to join his medical studies and then went on to join the Jawaharlal Nehru University in New Delhi. He was hounded by the police and intelligence wherever he went; his only crime that he had crossed the Loc. Nobody believed him that he no longer advocates an armed struggle as a solution to the problem of Kashmir. His death would herald such an uprising in Kashmir that no political or military involvement can stop it being torn into pieces. The Pakistan Occupied Kashmir and the Pakistan Government that once trained him are also quiet on the issue of death penalty as they believe it would be the right thing for Kashmir to go up in flames. He says, "I have lost my belief in the judiciary, asking for a leniency from the President would be accepting that I participated in the attack on the Parliament." Afzal's wife Tabasum Guru a nurse by profession is going to Delhi from her home in Sopore to meet the President. We would not be able to answer one day when little Galib Afzal would ask us why his father was killed in Delhi. i totally disagree...i think ur love for ur country /parliament/democracy has dwindled with distance .opposition to cap. punishment is something else not to be confused with masterminds wanting to destabilise a nation .